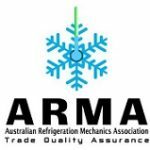 What are ducted systems – Air-conditioning Forum – ARMA\’s Consumer Community Forum – Because Customers Matter! Most home ducted systems are in the form of split ducted systems. There are two main types used in residential cooling. Add-on cooling which is most competitive in terms of price but is a compromise due to sharing heating components and ductwork. Air conditioning is best installed in the ceiling as cool air falls, but most ducted heating is in the floor and there’s a minimum duct size of 6” for heating whereas cooling requires 8” so ducts have to be redone. Dedicated ducted splits are slightly more expensive to install but offer the benefit of being an engineered package. You also have more choice of manufacturers than add on solutions. Either way you can zone the ducts to allow a smaller unit to cool sections of a house or to turn off unwanted sections on a whole house setup. In my opinion ducted is preferable to multi head splits as they have fewer parts, fewer electronics and fewer potential refrigerant leaks.